Anyone that has ever bought a product from Barbara’s Bakery from May 23, 2008 to July 5, 2013, you can get up to $100 cash settlement in a class action lawsuit with no proof of purchase required. Some of the products include, but not limited to, Barbara’s Bakery Cereals, Cereal Bars, Cheese Puffs, Crackers, Fig Bars, Granola Bars, Organic Mini Cookies, Snack Mixes, Snackimals Animal Cookies, etc. 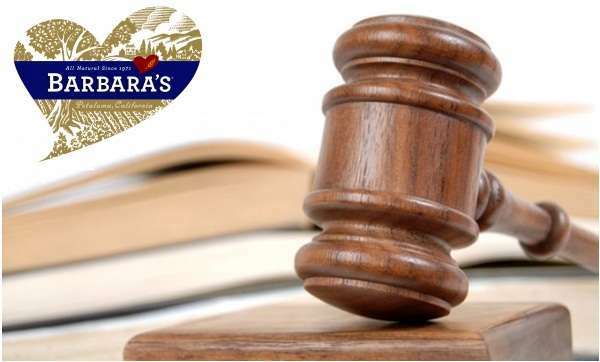 Even though Barbara’s Bakery denies any wrongdoing, the lawsuit claims that Barbara’s Bakery violated state laws regarding the marketing and sale of certain products. You can see a full list of products at www.BarbarasBakerySettlement.com or by calling 1-866-590-8528. Barbara’s Bakery will pay $4 million into a Settlement Fund to pay for eligible consumers, administration costs, attorneys’ fees, and a special service payment to the Class Representative. They even agreed to change some of its business practices such as modifying its product labels and advertising. Make sure you submit a claim form online or by mail by January 1, 2014 to get a payment. Don’t wait much longer and claim your $100 from buying Barbara’s Bakery products today! Here’s a full list of ways to Make Money Online from our must-see list!